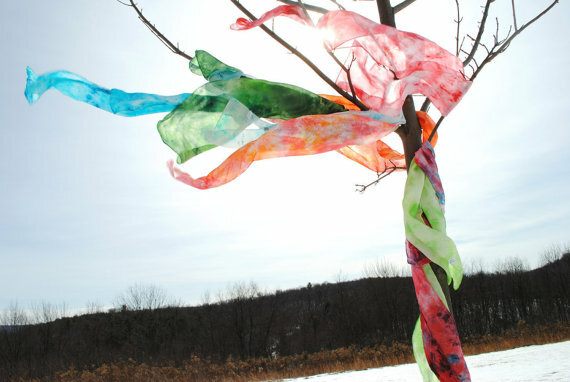 Playsilks help children capture the magic of creative childhood play! 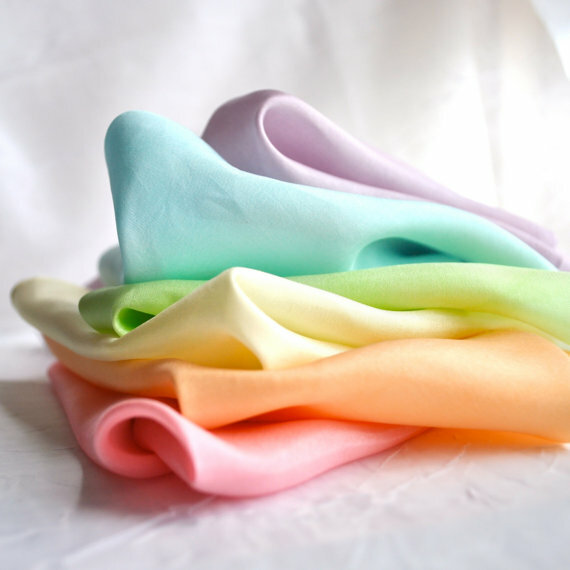 Soft and flowing, these dreamy Playsilks just needs a little imagination to become the educational or fun play element you need. Great for adding to some fun dance time and for teaching colors. In the studio the kids love to help with the various processes it takes to complete the silk making. Every Wednesday and Saturday we make silks for stock and custom orders. My children have always helped with my business and I like finding ways for them to contrbute. 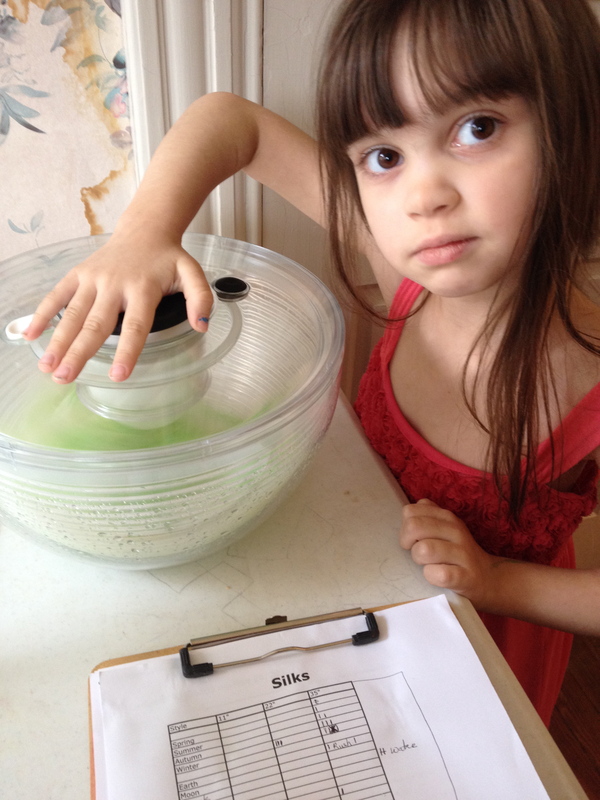 We spin silks in a salad spinner as an eco-friendly way to dry them and get them ready for ironing. Next, we hang them on a foldable drying rack while they wait to be ironed. 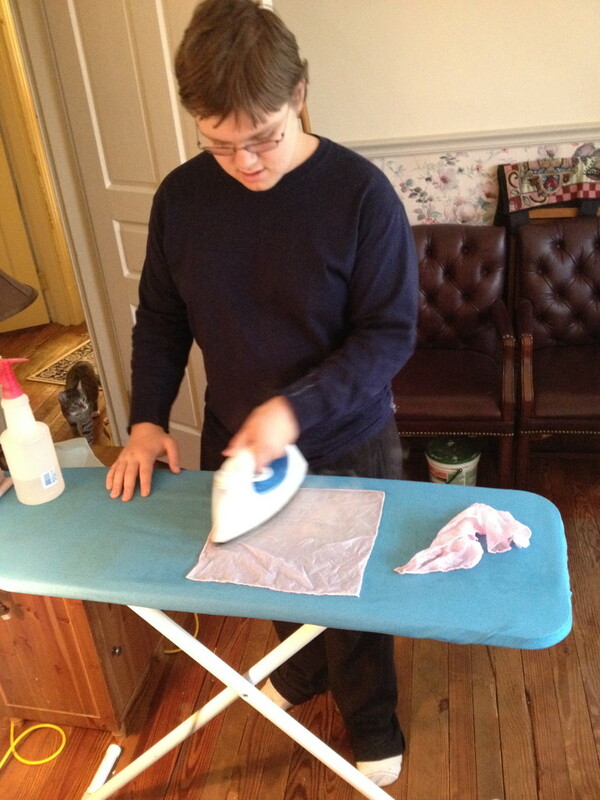 My oldest is learning to iron and has become a great help with The Enchanted Cupboard. The final step is to package them up before the head out the door. It’s work that we can do together as a family and our finished product is so pretty! 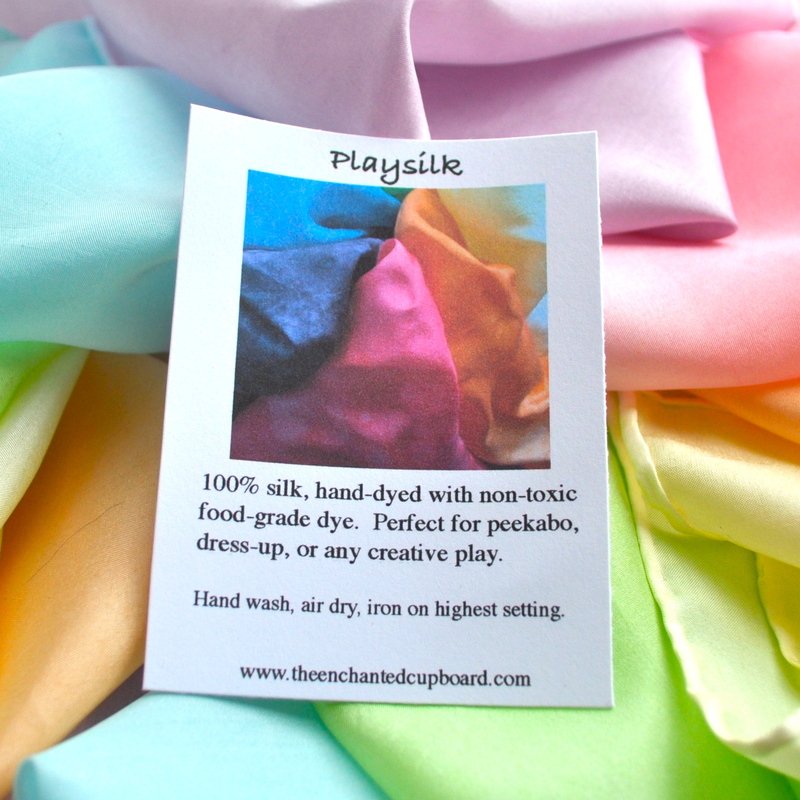 Find our playsilks on ETSY at our shop The Enchanted Cupboard. See them featured in these ETSY treasuries.